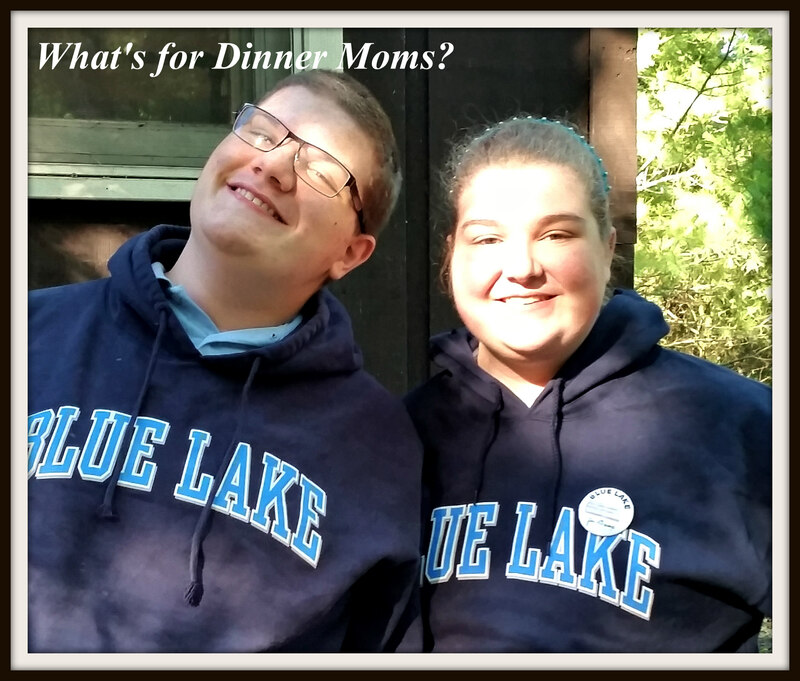 The Upper Peninsula – Vacation Day 4 (or the end) – What's for Dinner Moms? 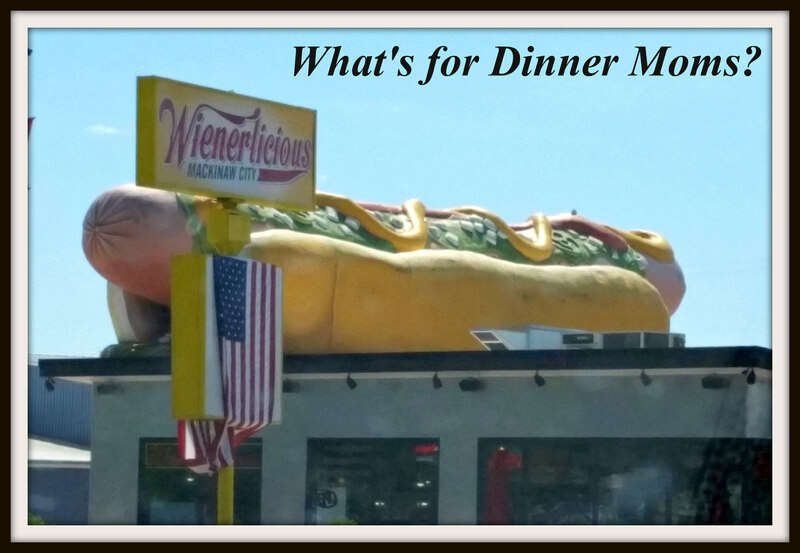 As we crossed the bridge going to the Upper Peninsula we saw this giant hot dog on top of a building. Right then we knew we were stopping there on the way home. The name Weinerlicious sealed it. It was a cute little hot dog place. We made it right in time because 11:45 am the line was out the door. The menu was simple but had enough variety for us. We ordered a Reuben dog. The toppings were piled high on the hot dog. There was too much for us. Half the sauerkraut would have been better. 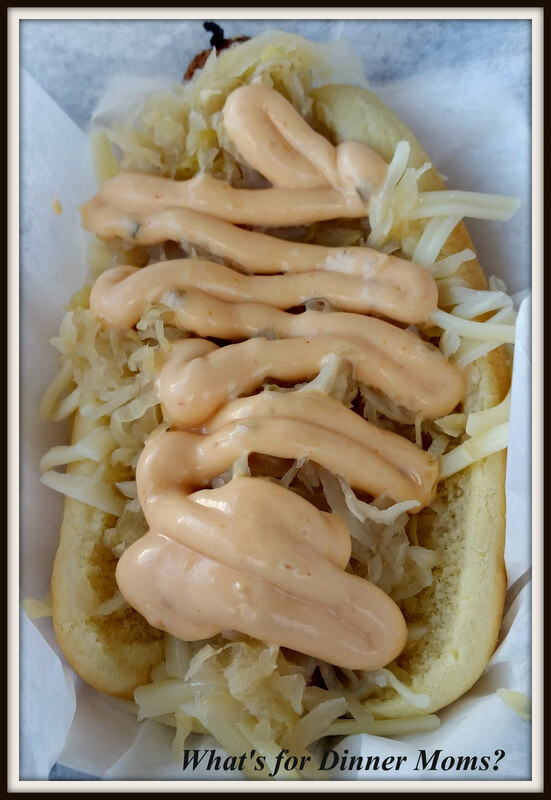 The hot dog bun was soggy from so much sauerkraut. Maybe toasting the center of the dog for a moment or two on the grill would have helped. 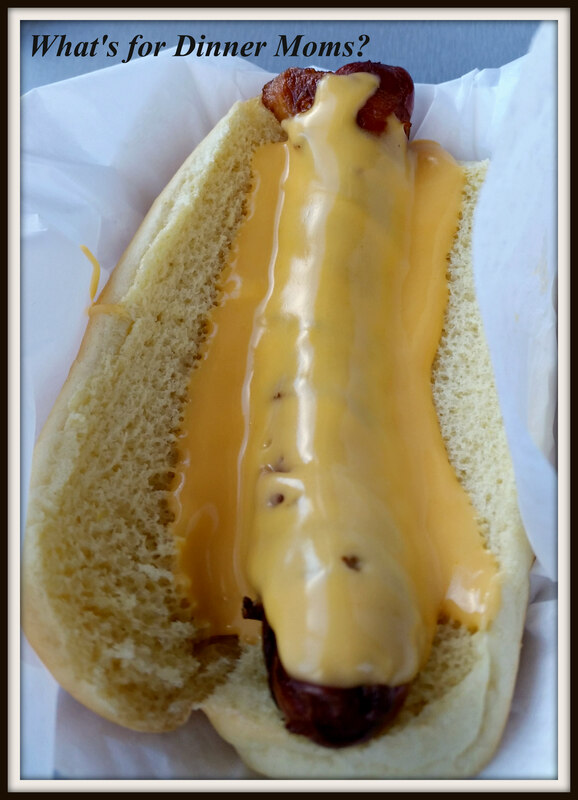 This was the hot dog with cheese sauce. The cheese sauce was okay, nothing special. But, it was good overall. 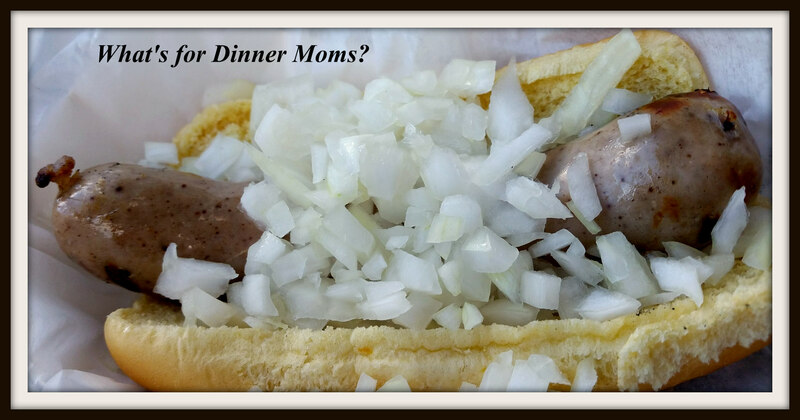 The we had the brat with onions. Again, half of the onions would have been enough. This was good though. I was pleased with my brat. Now for the fries. These were REALLY good. 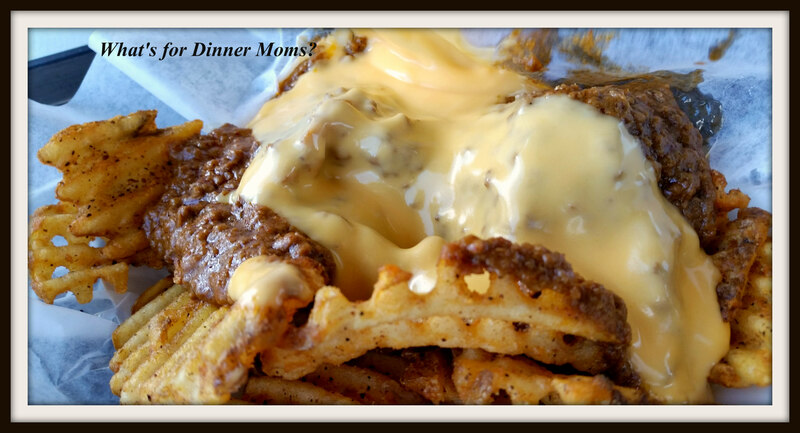 The cheese sauce and Cincinnati chili were unneeded and actually did not help the fries in the least. The fries themselves were perfectly flavored by themselves. Next time (and there will be a next time) I am getting them without toppings. We headed the 375 miles home. Not such a bad drive on a gorgeous sunny day. We picked them up from camp yesterday, much dirtier than we dropped them off but incredibly happy. Both enjoyed their time at camp and their final performances were wonderful. It is always amazing what they can do with the students in ten days. My son’s orchestra played five pieces. Three of the five pieces had a State University at Potsdam, Crane School of Music connection. One piece was written by Eliott Del Borgo and one piece was arranged by him. Then there was a folk song arranged by Richard Stephan. Both had been professors when I was in college. It definitely made me smile. My daughter’s concert was wonderful too. She was in the SSA choir and was a bit concerned as she has loved being in the SATB choir and wasn’t sure how it would be with all the girls together every day. She was happy beyond words. It is wonderful to pick up two happy kids as it makes for two happy mommies. I can’t believe I lived in Ohio for so many years and never made it to UP – looks like you guys had a great time! I am so sorry. I just found this comment in my spam folder. I don’t understand WP some times! Thank you we did have a great time and we hope to keep exploring the Midwest for the next year or two while we are here. 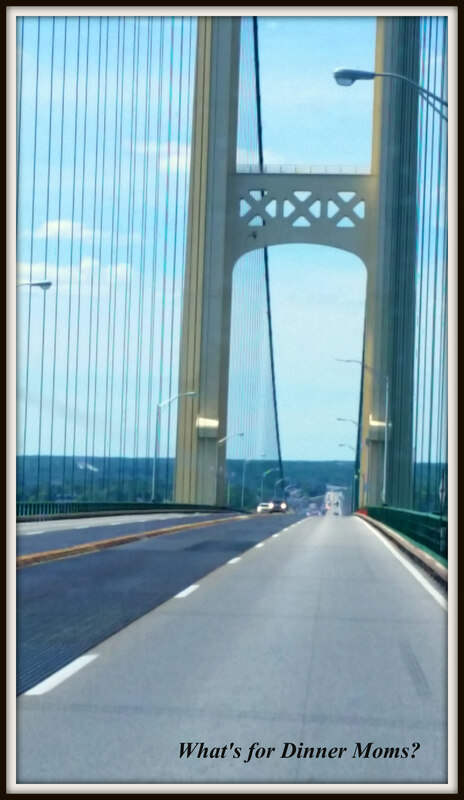 The grates on the bridge! The first few times is always scary. It gets easier – when you come back. So glad you enjoyed your vacation. Those grates are bad. The shaking of the car and the thinking that we were going to fall through. Ick. I had forgotten about Weinerlicios! Thanks for the memory. Weinerlicious, what a funny name! Sounds like their menu could use some improving. I’m glad you had a great vacation Marci, the kids look so happy from camp too! Thank you! They were extremely sad to leave camp yet very happy for hot showers and their beds. A wonderful vacation for everyone! We just got home from the UP! 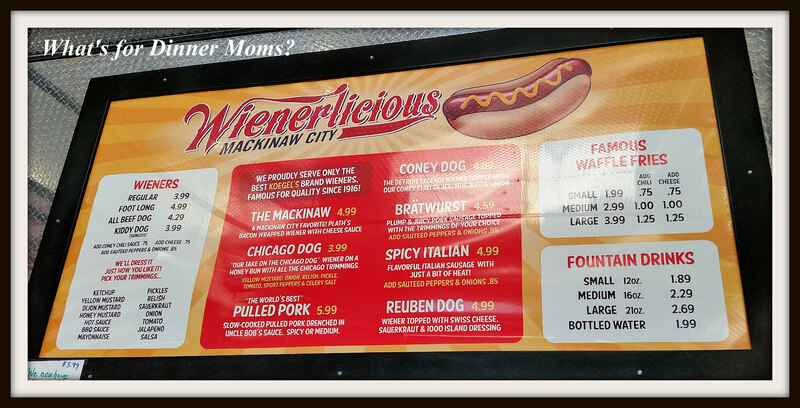 Didn’t make it to Wienerlicious this year, but had fun trying it out last year! We loved the UP and definitely going back.